We have all been there. We’ve decided that our wardrobe needs a bit of a refresh and we plan on getting some new clothes to give us a brand new look for the new season. After a short amount of time shopping, we then turn our backs on the quest and head home empty-handed and annoyed by the lack of options available in the shops. Why does this happen? Why 9 times out of 10, it’s not a lack of options which sparks our annoyance but instead it’s the fact that clothing sizes can vary so much from one brand to another. As a man, when I’m shopping for a new printed T-Shirt my size can vary from a small to a medium depending on where I’m buying my clothing from and what brand T-Shirt I’m choosing. This has led to money being spent on clothing that is either too tight or too baggy because different brands never seem to fit the same way. Shoes, unfortunately, are the same, with one brand my shoe size being a size 8 and another brand it being a size 7. This problem really hits home when I’m trying to buy my clothing online – which is all the more frustrating when I’m someone who doesn’t particularly enjoy the shopping experience. 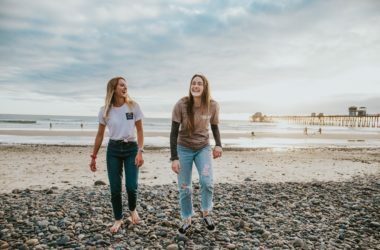 Recently I came across a survey which was conducted by Body Labs to find out people’s main gripes when it comes to shopping for clothing and footwear and it appears that a lot more people struggle when it comes to finding clothing that fits well as the survey showed that a quarter of all clothing purchased end up getting returned. For the first time, though, the clothing industry may be able to fight back and ensure that all customers are perfectly happy with their clothing purchases. This is because the technology now exists to ensure that you purchase clothes which fit you perfectly without you have to make visits to a tailor. Incomplete scans caused by the natural blocking of certain areas of the body, like the underarms and between the legs. “Noise” produced by scanners that make it difficult to obtain precise measurements. Static scans that capture the body in one position don’t take movement or different poses into account. (For example, how a pair of jeans change how they fit when you bend over). In fact, Body Labs has also patented body modelling technology which is designed to take all of these issues into account and they’re looking to build sophisticated algorithms which are designed to generate digital avatars to replicate the natural movement of our human bodies. The avatars are created by combining customer scan data with pre-existing mesh body templates that adjust to match individual scan data while they also compensate for missing areas. “By ensuring that each body model is created from the same original template mesh, we can guarantee that any mesh vertex or point stays in the same relative location on every body model. 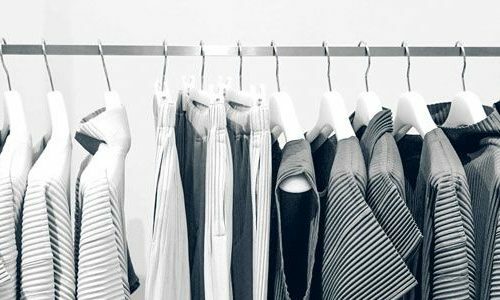 The tool promises to be incredibly valuable for clothing retailers as they can use this data to recommend the perfect sizes for their customers. By doing this, they’ll also improve their sizing systems by averaging parts of each dataset and they can create custom fit clothing – even without meeting their customers in person. In fact, online retailers and shoppers will benefit the most from the technology as it gives their customers the opportunity to buy perfectly fitting clothing directly from their homes. In the Apparel and Footwear Retail Survey Body Labs have discussed the “Ghost Economy” which is a coin termed by IHL group to describe the financial losses that are a direct result of returns, overstocks, and out-of-stocks. Most retailers will accept that these losses are an inevitable part of business, but Body Labs have argued that it doesn’t have to be so as 3D technology can make buying shoes and clothing less painful for customers while also dramatically improving a company’s bottom line. If you’re interested in finding out more information regarding this, you can sign up to a free webcast which is entitled How to Use 3D Body Imaging to Innovate in the Apparel and Footwear Industry. The webcast is on Thursday, June 23rd and you can register for the event for free here and find out more information. For us at Garment Printing, this new ability to potentially guarantee a perfect fit for our customers is perfect as it would allow us to create truly customised clothing for our customers. 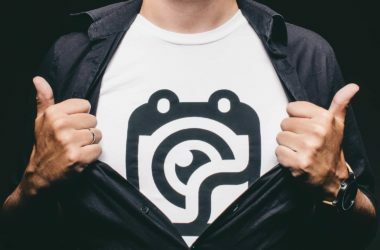 If we were able to accurately get the size of our customer clothing we could then create the perfect printed T-Shirts by, not only printing the designs onto the T-Shirts but by also ensuring that each item of clothing is tailor-made for the customer – ensuring a perfect fit every time.